You hear some success stories about new businesses instantly making tons of money, but the reality is often much different. It usually takes years for new companies to make a profit – and that’s if they’re able to stay open at all. Hopefully you’ve planned for this delay in income, but you’re also eager to start bringing in more money. Are you wondering how to increase profit margin? While there’s no magic way to generate cash, there are some things you can do to steadily improve your financial growth. With any new venture, it’s easy to start thinking about the end goal. Today, you’re opening your business; tomorrow, you want to be making $10 million. If you think this way – in terms of massive growth from the get-go – you’ll miss out on opportunities along the way and quickly become overwhelmed. Instead of regularly thinking about where you want to be long term, create a business map that allows you to think of incremental growth. What can you do today, this week or this month to start improving your quality of profit ratio? Take an objective look at your organization. What’s currently preventing you from making the money you know you’re capable of earning? Is it a lack of viable leadership skills? Is it a problem with your sales team? Have you not spent enough time getting the word out about your brand? The problem could also be something within you: Are you emotionally holding on to something that’s limiting your company’s growth? Have you held on to limiting beliefs? If your problem is within your sales team, think about how you can improve it. Do you need to hire fresh talent? Do you need to offer more incentives or make changes to the company culture to turn your team into raving fans of the business? Or is it something about your product, or the way you’re marketing it, that’s off-putting to people? Think of a few ways that you can drive growth in that area of your business. Now it’s time to get to work. Create a timeline and develop a series of steps you and your team will take to increase profit margin. Set reasonable goals that you can sustain over time. Make a massive action plan that will help you jumpstart growth and increase profit at your business. Maybe this involves creating a new department, launching a new marketing campaign or undergoing leadership training so you’re better equipped to lead your company. Just because you’ve created an action plan doesn’t mean your choices are set in stone. Monitor your results as your plan progresses. Have you figured out how to make profit in a sustainable way? Have you found an effective group of people to work as part of your team? Set times that you’ll check in and reevaluate your progress. Maybe this is a monthly thing, or perhaps you check in every three or six months to monitor growth. With enough insight and planning, you can increase the profitability of your company. Tony Robbins is the world’s #1 life and business strategist, and has launched a number of successful business ventures himself. 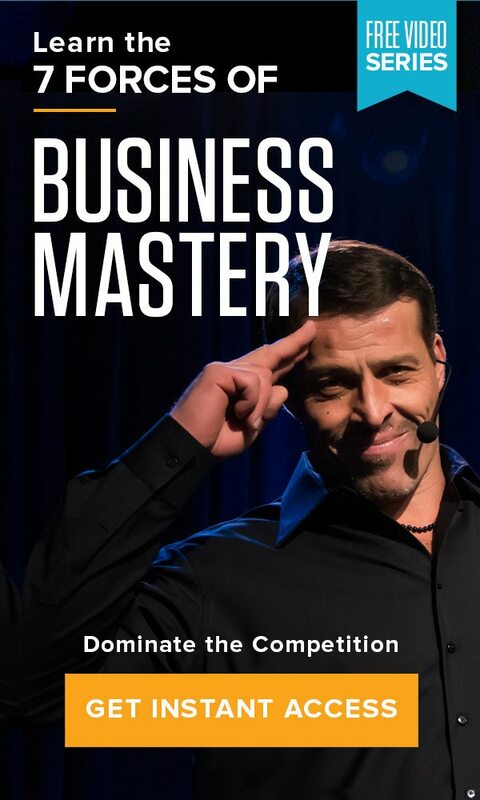 Whether you’re looking for ways to increase your business’ profits or want to learn more about how to do away with limiting beliefs in business, attend Business Mastery. The five-day event will expose you to incredible speakers and teach you key strategies to help your business thrive.